Not all buildings are built to last and also showcase extreme beauty, but many churches are unique in that way. Here are some of the most beautiful churches in the world that are great to visit, whether religion is a personal interest or not. 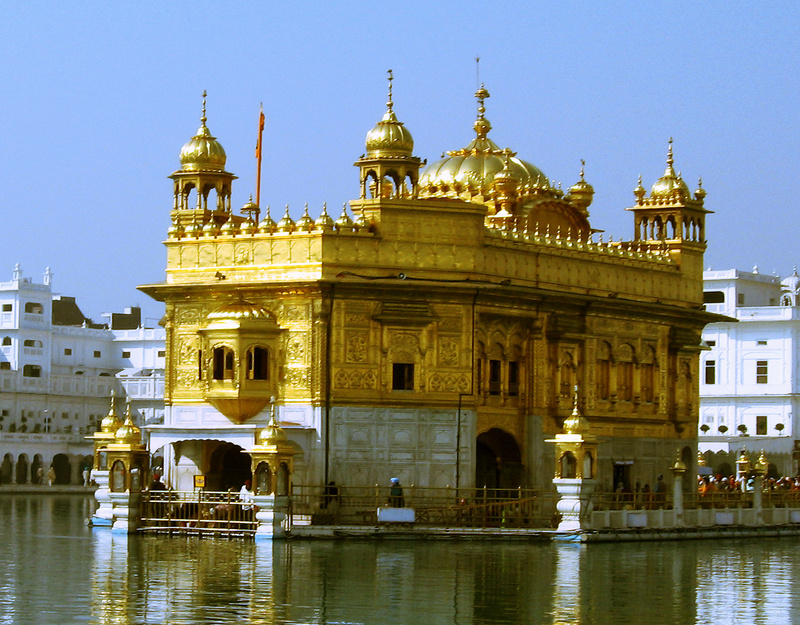 The Harmandir Sahib temple in India is also known as the golden temple, and that it is. At night when the temple is lit up over the water it is truly an incredible sight. The city was founded in 1574 by Guru Ram Das. It is considered a holy place for those of the Sikh religion, but it is accepting of all. There are actually four different doors built into the temple to represent it’s openness to all. This monastery (who’s name means “middle of the sky” is built on top of a giant rock formation which makes it appear to be shooting into the sky. Some of the caves near Meteora have the oldest proof of a man made structure, where a wall was put up presumably to keep winds out of a cave from 23,000 years ago. It’s not known exactly when the monasteries were established but monks were living in Meteora since the 9th century. Initially ropes were used to hoist people up onto the rock, but in the 1920’s steps were cut into the rock to make it accessible from a bridge. Construction on this church began in 1824, but it wasn’t completely finished until 1879. The church is unique as it features scenes relative to the region in its stained glass windows, as opposed to from the bible. This church in Barcelona started construction in 1882…and it’s not done yet. In 2010 it passed the halfway point, and is expected to be done around 2026. The original inspiration for the church came from a bookseller who had gone to the Vatican and thought that Spain needed something just as marvelous. This Renaissance church is located right in Vatican city. It was built in the 1500’s and is thought to be one of the most important architectural works of the Renaissance period. The basilica is actually considered one of the largest churches in the world. Tradition as well as lots of historical evidence suggest that St. Peter’s tomb is located under the high alter inside. St. Peter was one of Jesus’ apostles. This church in Russia is made entirely of wooden structures, so it is quite unique looking. The church was built in the 17th century and the top of the building is covered with dome structures. There were no nails built in the construction of the church, and it required thousands of Scots pine logs that had to be brought over from the mainland. Paris is home to this medieval gothic style church. It is incredibly beautiful with extensive stained class formations, but it also has some important historical stuff housed inside. King Louis IX commissioned it in 1248 to hold relics like Christ’s Crown of Thorns, so it has historical and for some some, religious significance.